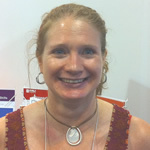 Sue Altmeyer (J.D., M.L.S.) is Associate Law Librarian–Reference Services at the University of Akron School of Law. She formerly held positions as electronic services librarian (Cleveland Marshall College of Law Library), research/reference librarian (Cleveland Law Library), appellate law clerk (Ohio Eighth District, Judge Nahra and Judge Dyke), and tax attorney (Ernst & Young). Sue is a member of the CALI Editorial Board.